Was Roman Citizenship Based on Laws for "all of Humanity"? The claim that the Roman empire was a legally sanctioned multiracial state is another common trope used by cultural Marxists to create an image of the West as a civilization long working itself toward the creation of a universal race mixed humanity. This is a lie to which patriots of Western Civ must not yield to. The majority of scholars agree that Rome's greatest contribution to Western Civilization was the development of a formal-rational type of legal order characterized by the logical consistency of its laws, the precise classification of its different types of law, the precise definition of its terms, and by its method of arriving at the formulation of specific rules wherein questions were posed, various answers from jurists were collected, and consistent solutions were offered. It was a legal order committed to legal decisions based on fairness and equity for all citizens. The early Romans, before the Republic was established in 509 BC, lived according to laws established through centuries of custom, much like every other culture in the world, each with their own traditions, each ruled by what Max Weber called "traditional law", a type of authority legitimated by the sanctity of age-old practices. Traditional law tended to be inconsistent and irrational in its application. During Republican times, the Romans created, in 451 BC, their famous Twelve Tables, which established in written form (lex) their centuries-old customary laws (ius). The Twelve Tables covered civil matters that applied to private citizens as well as public laws and religious laws that applied to social fields of activity and institutions. These Tables were customary but they also constituted an effort to create a code of law, a document aiming to cover all the laws in a definite and consistent manner. A fourth part, the Novels, was created a few decades later to update the Code. 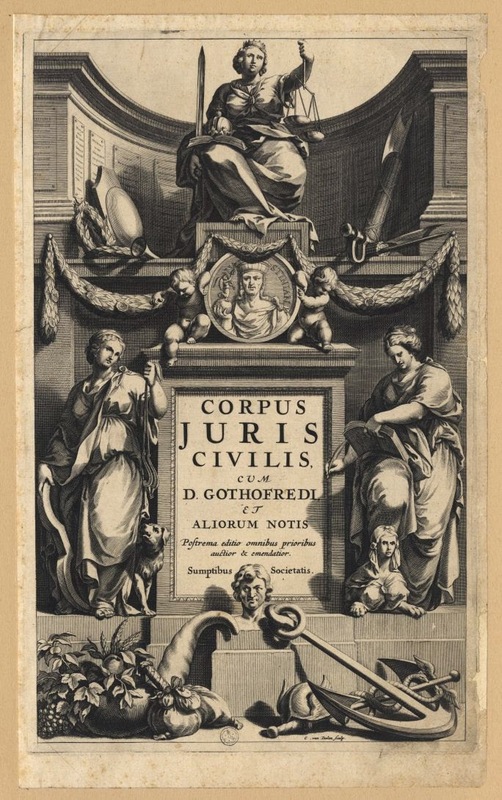 This legal work is now known Corpus of Civil Law, considered to be one of the most influential texts in the making of Western civilization. More specifically, some see it as the foundation of the "Papal Revolution" of the years 1050-1150, which Harold Berman has identified as the most important transformation in the history of the West. The ecclesiastical scholars who made this legal revolution, by separating the Church's corporate autonomy, its right to exercise legal authority within its own domain, and by analyzing and synthesizing all authoritative statements concerning the nature of law, the various sources of law, and the definitions and relationships between different kinds of laws, and encouraging whole new types of laws, created not only the modern legal system, but modern culture itself. This is the thesis of Berman's book, Law and Revolution: The Formation of the Western Legal Tradition (1983). 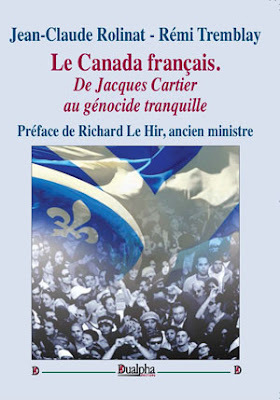 There are flaws with Berman's great book (simply stated, he underestimated much of what was accomplished before and after 1050-1150), but he is right to emphasize not just this Papal revolution but the common Western legal heritage of the peoples of Europe neglected by the nationalist historians of the nineteenth century, and, of course, by some New Right intellectuals who prefer "pagan" law. Here I want to criticize recent works which argue that the Roman legal system broke decisively with any notion of ethnic identity by formulating a legal system "for all of humanity". This is not easy; there is a universalizing logic inherent to Western civilization, which becomes all the more evident in the development of Roman law, which deliberated and encoded legal principles in reference to all human beings as possessors of reason in common and as inhabitants of a multiethnic Roman community. I don't intent to fabricate arguments about the racial self-awareness of Romans and the particularistic language of Roman law. But I will nevertheless try to show that Roman legal ideas cannot be used to make the claim that they invented a legal system for a "multicultural and a multiethnic state" — teleologically pointing towards the creation of our current immigrant state in which racial identities are abolished and a race-less humanity is created. There is vast temporal and cultural space between Rome and our current state of affairs. I would express the implications of this expansion across multiple ethnic lands as follows: with non-citizens inhabiting the empire, to whom the current laws for citizens did not apply, jurists developed "laws of nations" or laws that applied to all people, foreigners and non-citizens as well as citizens. In connection to this they also began to reason about the common principles by which all peoples should live by, the laws that should be "natural" to all humans (rooted in "natural law"). But this form of reasoning about law was not merely a circumstantial reaction to the problem of ruling over many different categories of people; it was a form of reasoning implicit in the process of reasoning itself. The development of an increasingly abstract vocabulary resulted from the application of reason (as opposed to customary thinking) to the development of law; abstraction is inherent to the process of reasoning and results from the process of generating definitions, classifications and concepts, recognizing common features in particular instances and individual cases, and generating different types of laws and different terms. As Aristotle writes in his Posterior Analytics, inductive reasoning "exhibits the universal as implicit in the clearly known particular" (Book I: Ch.1). Essentially what the Romans did was to apply Greek philosophy, particularly the Aristotelian inductive logic of moving from experience to certainty or probability by coalescing together in one's mind the common elements in the particular cases observed. Romans jurists were trained to be very practical about their legal reasoning, and rather than debating ultimate questions about justice, they went about deciding what was the best legal course of action in light of the stated facts, and, in this vein, they classified Roman law into different kinds of law in a systematic fashion, as was evident in the treatises of Q. Mucius Scaevola. The point I am driving at is that just because the Romans were developing legal concepts that were increasingly abstract and without reference to customs by particular groups, it does not mean they were trying to create a multiracial state with a common system of law, or a nation dedicated to racial equality. There is clearly a connection between rationalization and universalization which engenders an abstract language that bespeaks of a common humanity. That is why Western thinkers always write in terms of "man", "humanity", "mankind" even if they are really thinking of themselves, be they Greeks, Romans, or Germans. Westerners created a universal language in the course of becoming the only people in this planet — as I will argue in a future essay — self-conscious of the "human" capacity to employ its rational faculties in a self-legislating manner in terms of its own precepts, rising above the particularities of time, custom, and lineage and learning how to reason about the universal questions of "life" and the "cosmos". Europeans are the true thinkers of this planet, the only ones who freed their minds from extra-rational burdens and requirements, addressing the big questions "objectively" from the standpoint of the "view from nowhere", that is nobody's in particular. But we should realize that it is the view of European man only. How can one disagree with Nemo that the Romans bequeathed to us the idea that we should envision a New World order in which all the peoples of the earth are ruled by universal laws regardless of ethnicity and other particularities? Add to this the fact that with the Edict of Caracalla issued in 212 AD, all free men in the Roman Empire were give Roman citizenship. Citizenship had long been reserved for the free inhabitants of Rome, and then extended to the free inhabitants of Italy, but this Edict extended citizenship to multiple ethnic groups. Still, it would be a great mistake to envision Roman citizenship as a conscious effort on the part of ethnic Romans to recognize the common humanity of all ethnic groups. Firstly, the extension of citizenship was part of the process of Romanization, of acculturation and integration of conquered peoples into the empire; it was intended as a political measure to ensure the loyalty of conquered peoples, and the acquisition of citizenship came in graduated levels with promises of further rights with increased assimilation; and, right till the end, not all Roman citizens had the same rights, with Romans and Italians generally enjoying a higher status. Secondly, it is worth noticing that this process of Romanization and expansion of citizenship was effective only in the Western (Indo-European) half of the Empire, where inhabitants were White; whereas in the East, in relation to the non-Italian residents of Egypt, Mesopotamia, Judea and Syria, it had only superficial effects. It has been argued, to the contrary, that Roman political culture itself fell prey to "orientalizing" motifs coming from the eastern side. Bill Warwick's book, Rome in the East (2000), shows that Roman rule in the regions of Syria, Jordan, and northern Iraq was "a story of the East more than of the West", and states flatly that these lands were responsible for the "orientalizing" of Rome.5 We would be way off, then, saying that Rome became a civic polity devoted to a trans-racial order as a result of extending citizenship to non-Romans. Thirdly, keep in mind that, before Caracalla's edict of 212 AD, the vast majority of those who held Roman citizenship were from Italy; in other words, Romans only agreed to grant citizenship to non-Italians close to the last period of their empire; and historians agree that the only reason Caracalla extended citizenship was to expand the Roman tax base. In fact, it took a full scale civil war, or, as it is known by historians, a Social War or Marsic War [Lat. socii=allies], 91–88 BC, for Romans to agree to share citizenship with their Italian allies who had long fought on their side helping them create the empire. It is no accident that the roots of the word "patriot" go back to Roman antiquity, the city of Rome, expressed in such terms as patria and patrius, which indicate city, fatherland, native, or familiar place, and worship of ancestors. 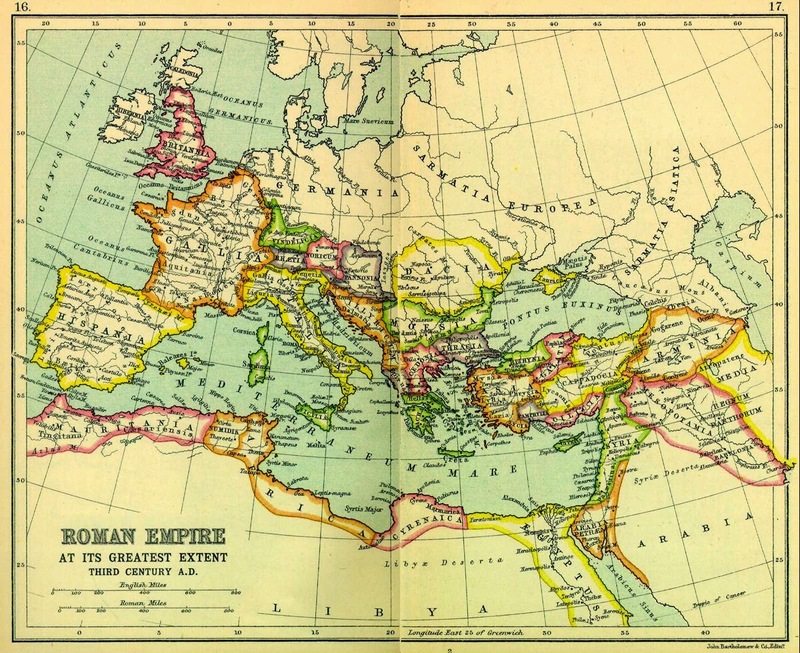 Roman ethnic identity was strongly tied to the city of Rome for centuries, and when it did extend beyond this city, it did so almost exclusively in relation to closely related ethnic groups in Italy and southern Gaul. G. Mousourakis writes of “a single nation and uniform culture” developing only in the Italian peninsula as a result of extending citizenship, or naturalizing non-Roman Italian residents. Therefore, it would be anachronistic to project back to the Romans a program akin to our current immigration/diversity reality, implemented with the conscious purpose of undermining European pride and identity and creating a race-mixed population. The cultural Marxists in control of our universities are simply using deceptive arguments to make Europeans think that what is happening today is part of the natural course of Western Civ. This form of intellectual manipulation of students is now rampant in academia. In a second part of this essay, I will question some of the incredibly absurd lengths to which the Stoic ideal of a cosmopolitan citizen has been willfully misinterpreted and misapplied by our "major" scholars as a "program of education" to be implemented across the West in order for white children to overcome their racism and sexism and accept mass immigration and matriarchy.
" and historians agree that the only reason Caracalla extended citizenship was to expand the Roman tax base." Exactly what the ruling elite are doing in Western nations. They know they can't sustain government programs with the indigenous population, so they have import the third world. Not true. Even if government programs were sustainable, the hostile elite would still wage war of mass immigration on White Europeans. During late Roman empire as Jewish populations were rapidly multiplying, European populations were rapidly declining. Europe's population did not recover until 11th Century. In Japan government programs are deep in debt, but the elite (who are Japanese) are not waging war on masses (who are also Japanese). Just as alien Mongol rule destroyed China and Persia for centuries, the current alien rule is ravaging the West. I think Enoch Powell still has a valid point, because the idea of using immigration to fund the social welfare net, is floated out there as a stock answer. It is not uncommon to hear this point of view expressed by many middle and working class people. This being said, there is another perspective which is similarly floated in the media. This perspective runs basically as follows, western governments, and the Canadian one, being no exception, woo the ethnic vote for political control. Just think back to the Mulroney government and Barbara MacDougal in particular ( I think I spelt her name correctly). The removal of the absorptive capacity of the economy principle was all about wooing the immigrant vote. This perspective can be looked at from two basic angles, one being taking it at face value i.e. it is just about politicking for immigrant votes. The other is the one you address i.e. the hostile elites waging war. Depending on the astuteness of the politicians involved, some aware and others somnambulistic liars, you are correct. It seems that the right and the left have basically merged in their attack on western civilization. Both camps having their own understanding and application of critical theory, or Cultural Marxism. To be exact, the new right with their appeal to universalism and the new left which holds western civilization to be the source of all that is wrong with the world i.e. Boasian anthropology, Adorno's authoritarian personality being formed in the traditional nuclear family, Wilhelm Reich suppression of the libido and sexual liberation, etc. The real issue to my mind is whether or not one views Cultural Marxism as a Zionist attack in it's very inception; or is it more broadly based i.e. politically correct stooges from various economic/ ethnic backgrounds spewing forth their verbal garbage! To sum, I think you both raise valid points, however, I don't see your perspectives as being mutually exclusive, rather it is a matter of focus. Enoch Powell pointing out a noticeable similarity in the essay, and you concentrating more deeply on historical contexts. Oh by the way, the Japanese are now under martial law, and the Japanese government is suppressing the truth about Fukushima radiation, as cancer and cardio thrombosis is now starting to grow much more rapidly than was ever the case with Chernobyl . I wonder, is it the case that the Japanese government is waging war on the Japanese? God, but Canadians are dumber than a giant bag of hammers. Do they really believe that all those brown-yellow-black immigrants they are welcoming today are, when they make up the majority, going to vote to pay taxes to keep decrepit, aged, useless Generation X-ers warm and comfy in their nursing homes and hospitals, etc? Not to mention old age pensions for them. Geeeeze. - Daizy. There is a line of discredited scholarship (mainly because of its association with National Socialism) that there was a moral menace associated with the property absolutism and excessive rationalization of Roman Law. Matriarchy? What non-Western culture is matriarchic? Some stone-age bunch from the Amazon, perhaps, that stays in its own jungle, anyway? Anybody remember the popularity among feminists of archeologist Maria Gimbutas? They couldn't shut up about her. If I recall, she claimed that precivilized European cultures were not matriarchal or patriarchal, but I think that lying feminists (are there any other kind?) spread the idea that she had described these early cultures as being definitely matriarchal, as if that's a good thing. Now don't quote me, but I recall someone saying, decades ago, that Gimbutas refused to examine evidence of violence in early societies because it bothered her too much. Just like that. So why believe anything she had to say. That's hard to believe, because there's no reason that society should have flipped so drastically, considering other primates are patriarchal (and often keep harems), much like observed modern primitives. Yeah, I vaguely remember something along those lines, but it flew in the face of everything else I'd read/observed. The thing the feminists forget is this - the males are usually in-charge, front-and-centre and all that, _because they're expendable_ in the genetic/evolutionary long view of things. In wartime, who is the first target? The one with the highest rank. Oh, and I almost forgot my real point - if our culture is to be replaced by non-Western cultures, um. The neo-feminist dyke types are going to be first on the chopping block. I believe that Gimbutas' thesis was that the patriarchal and bellicose Proto-Indo-Europeans replaced a more matriarchal and peaceful Old European society during the Bronze Age. Ironically, her research sparked an immense interest in the Proto-Indo-Europeans and laid the foundations for Indo-European supremacism in later decades. She may not have been totally off the mark either, but only if one qualifies Old Europeans as having been more matriarchal in relation to the Indo-European invaders, which were likely to be more male-oriented, consisting as they were of migratory bands led by warriors that forced their way into territories settled by other peoples. Old European societies appear to have placed more importance on female fertility and motherhood (both real and spiritual), as they were more sedentary and agricultural, although historical records on Etruscans and Basques show that they had no problem with being violent and aggressive either. This is the same line of reasoning I follow in Uniqueness. There is this tendency among critics of feminism and of her matriarchal/peaceful thesis about Old Europeans to dismiss everything she wrote about the Kurgans (Indo-Europeans who gradually superimpose themselves on Old Europe), but I found her work very refreshing so long as one does not portray the more patriarchal aggressive culture of the Kurgans in a negative light as she did. While others were trying to persuade us that the Indo-Europeans were more or less language teachers who spread their culture through some form of peaceful immigration, Gimbutas offered a more realistic picture; she is also very good in contrasting the "sky gods" of IEs to the earth, fertility, mother goddesses of Old Europe. Difficult to belived that a civilization that was way ahead of its time, Old Europe, where first use of bronze is recorded, is conquerd by nomand, primitive population, aka Indo-European. According to Cambridge University (link below) based on flora and fauna from The Vedas, the migration was from (Old) Europe to India. Yes, it's interesting to talk about what "we" were back in the preBronze Age. But what we've endured since then, and how we developed, was not some little side trip by a long shot. We are what we are, now, and have to proceed from here.